Two decades ago, Sen. Bernie Sanders crossed the Mexican border to call attention to the plight of American citizens who cannot afford expensive, potentially lifesaving drugs. Since that time, we have seen some progress on the issue — including recent federal Medicare drug legislation and new state laws as well. It’s not unusual to hear about someone having to cross the Canadian or Mexican border to purchase cheaper pharmaceutical drugs. After all, the average prescription drug for a chronic condition costs $13,000 a year, and since 2009, Medicare drug spending has grown by roughly 9.5 percent yearly. The affordable drug issue is a hot one this midterm election season. The Political Action Committee, Patients for Affordable Drugs, has spent $8 million in ads supporting cheaper drug access. As the population ages, more and more voters prioritize medical and healthcare measures — and affordable drugs are central. According to the AARP, "the average brand-name prescription drug prices have doubled between 2008 and 2016 and retail prices for many commonly-used brand name drugs by older adults soared an average of 8.4% in 2017." One Utah nonprofit, representing 160,000 public employees, PEHP Health and Benefits, has decided to offer new options. It offered their public employees enrolled in the plan $500, a plane ticket to San Diego, and a trip to Tijuana, Mexico, to purchase drugs. This particular “pharmacy tourism” trip is intended to help employees attain expensive cancer, autoimmune, and multiple sclerosis (MS) drugs to treat chronic conditions. A 28 day supply of the MS drug Avonex runs $6,700 while it usually costs around $2,200 across the border. Utah has also explored other options that have involved crossing the Canadian border. Last February, Utah passed a law that states "a contracted wholesale pharmacy can purchase prescription drugs from approved wholesalers in Canada, in an effort to obtain drugs at lower prices." The state legislation that allows for this Utah pharmacy tourism trip requires "state employees’ insurance plans to offer savings rewards and cash incentives, to patients who choose cheaper providers." That’s exactly what PEHP Health and Benefits did for its employees, and perks like this can help public employees’ health care costs as public unions have lost dues money since the Janus ruling. Legislation like this helps encourage creative solutions to exorbitant costs, and Congress is considering more options. For example, Donald Trump has recently announced "a proposal focusing in the price of drugs under Medicare Part B." Federal law doesn’t allow Medicare to negotiate lower drug prices, and now Trump is proposing "a trial that would limit Medicare payments for certain Part B drugs." It’s growing more difficult for Big Pharma to retain its tight grip on drug prices. 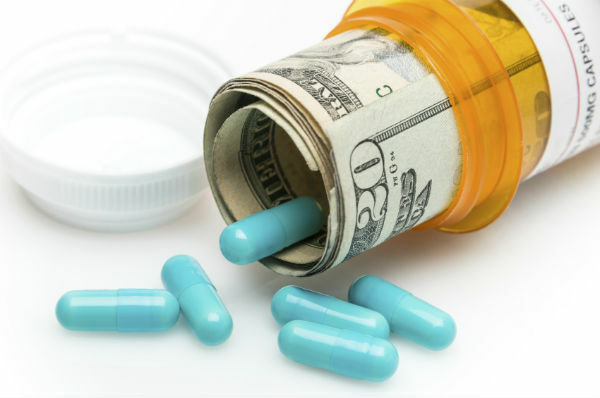 Federal and state efforts to lower drug costs provide much needed reprieve to patients. As states streamline wholesale purchasing efforts and reform Medicare regulations, people won’t have to cross borders to acquire sometimes lifesaving drugs. Hopefully, the drugs you need will be right down the road at your local pharmacy.